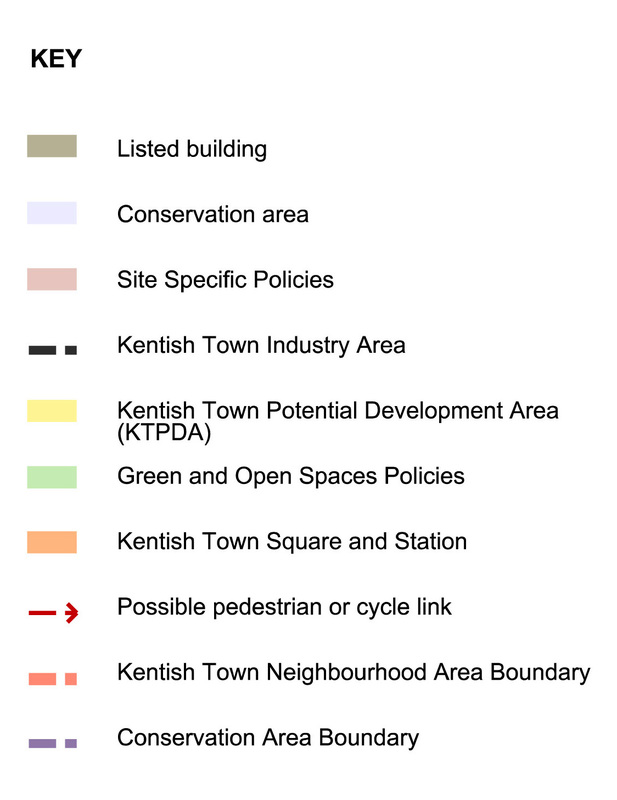 Kentish Town Neighbourhood Forum (KTNF) was formed by local people at an Annual General Meeting in January 2012. After four and half years of consultations, the 78 page KTNF Neighbourhood Plan went out to referendum and was voted in and became integrated into planning law. Camden Council is obliged to consult it when planning applications are submitted for the KTNF area and the KTNF is a statutory consultee. The Plan provides a blueprint with a range of policies and projects. The Neighbourhood Forum gives us more control and say over planning decisions that affect housing, shops and most other types of planning decisions as they arise. We can influence where we want development and what sort of development we want. We can ask for buildings or sites to be protected from development that is harmful to the Area. We can propose ideas to help the High Street to flourish and we will aim to encourage businesses in our Area. Kentish Town Neighbourhood Forum, “the Forum”, is run by you – people who live or work in Kentish Town. Anyone in the Kentish Town Forum Area can sign up to be a member of the Forum. The Area of the Forum can be seen on the Map and associated Key. You can join in by signing up and giving us a postal and email address so that you can be sent details of events and meetings that we are planning. We are talking to residents associations, tenants associations, businesses, schools, doctors, churches, local councillors, environmental groups, elder people and the community centre.